Marvel Studios and Kevin Feige are taking a big gamble on Brie Larson and Captain Marvel as they are retconning the character into the MCU and are essentially forcing the character onto fans, which is what failed with Disney Star Wars. To boot, the MCU version of Captain Marvel doesn't seem at all like the comic book counterpart (which has never been a big seller as the comic has gone through dozens of relaunches). Already, the MCU version of Captain Marvel is being described as the MCU's most powerful character; it's been said the character is responsible for Samuel L. Jackson forming the Avengers in the first place; it's thought she is becoming the new leader of the Avengers, and Feige has gone on record stating Captain Marvel will be the new face of the MCU -- and the movie hasn't even been out yet, and she was never a part of the previous ten years of Marvel movies. So to say there is cause for concern is an understatement. It also doesn't help that Brie Larson (don't say hi to her at an airport) is promoting the character as a feminist superhero, so where does that leave the rest of the 99.9% of the fans? Again, this is all similar to what Kathleen Kennedy and Disney did with Star Wars, especially Star Wars: The Last Jedi, which divided the fan base - never a good thing - and caused the Star Wars movies to be slowed down and some canceled at Disney. Following the April release of Captain Marvel, will the MCU share the same fate? It's definitely a possibility. Another concern is that following The Avengers: Endgame, the Russo brothers may not be involved with Marvel. It is the Russo brothers who put out the best MCU movies - as they are huge fans of the comics (something Feige can't say as he is a movie buff) - with Captain America: The Winter Soldier and The Avengers: Infinity War (Civil War was an okay movie, but I believe the Russos had their hands tied and could only do so much). With the Russos gone from Marvel and with the launch of Captain Marvel, I'm dreading to think what Feige is going to do with the MCU (cosmic fans, just look at Gunn's Guardians of the Galaxy and Taika Waititi's Thor: Ragnarok -- entertaining movies, but awful adaptations of the stellar comic book storylines). 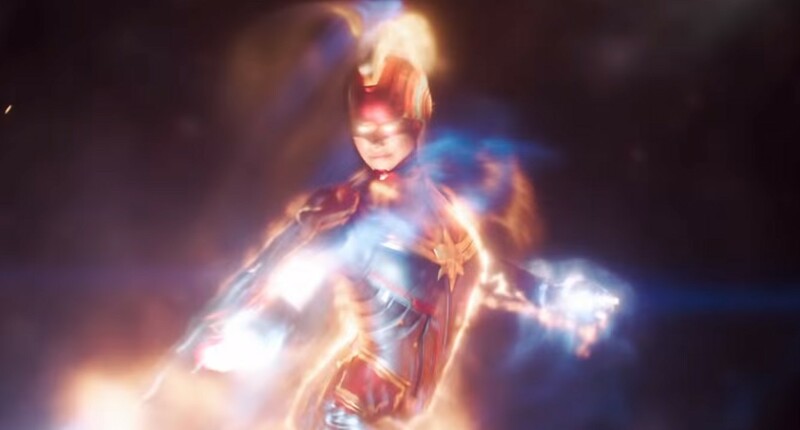 Does Captain Marvel signal the endgame for the MCU? We'll find out in a few months! The Avengers: Endgame has an April 26, 2019 release. After the devastating events of Avengers: Infinity War, the universe is in ruins due to the efforts of the Mad Titan, Thanos. With the help of remaining allies, the Avengers must assemble once more in order to undo Thanos' actions and restore order to the universe once and for all, no matter what consequences may be in store. Captain Marvel lands March 8.